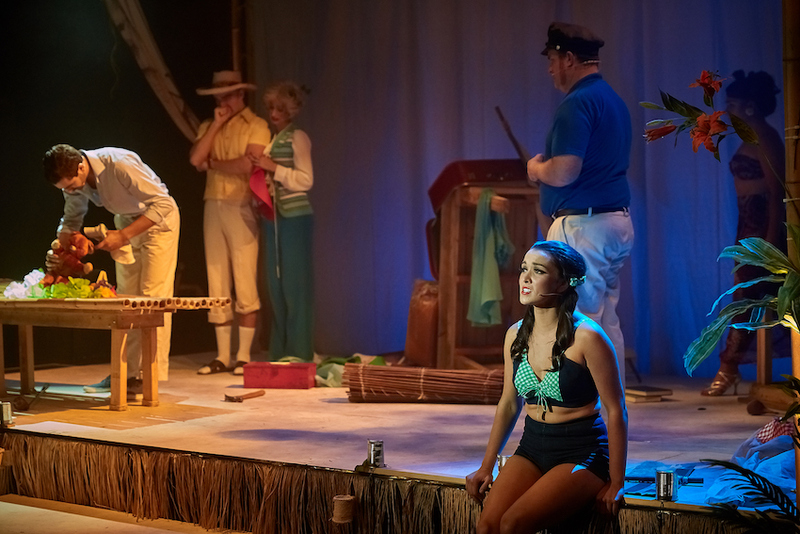 Just as the castaways need rescuing from an uncharted desert isle, so too do the cast and crew need rescuing from the disappointingly dull book and score of Gilligan’s Island the Musical. Running only three seasons in the mid-1960s, Gilligan’s Island is widely known thanks to endless television reruns, making it a prime title for a theatrical production. 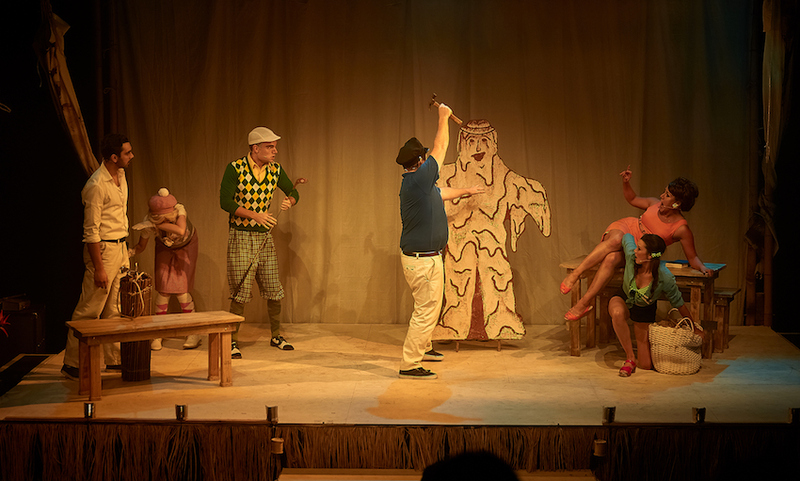 While projects such as the mid-1990s Brady Bunch movies found a tone and an angle at which to successfully play the comedy, Gilligan’s Island the Musical has no irony, no subtext, no post-modern interpretation. Song after song stops the show, and not in the good way. Perhaps the problem is having series creator Sherwood Schwartz at the wheel. Schwartz’s son Lloyd J Schwartz co-wrote the book, with songs by Schwartz’s daughter Hope and her husband Laurence Juber. The zany, one note characters are simply presented as they were, with the scenario featuring traces of plots that are similar to the original episodes but do not generate much interest in their own right. Having resoundingly proven his ingenuity and flair with gems such as Titanic and Parade, director James Cutler struggles against the tide with this lighter material; to be fair, so would any director. Cutler has the cast work at high energy, but the effort shows through and undermines what little comedy there is. 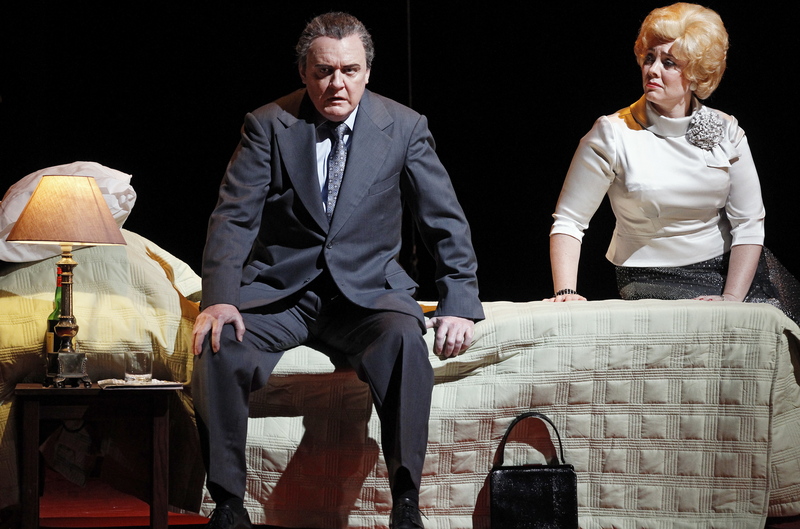 Still, there is a pleasant vibe to the performance, and Cutler adds one modern touch near the end when the appearance of the alien matches that of the United States’ current punchline of a world leader. 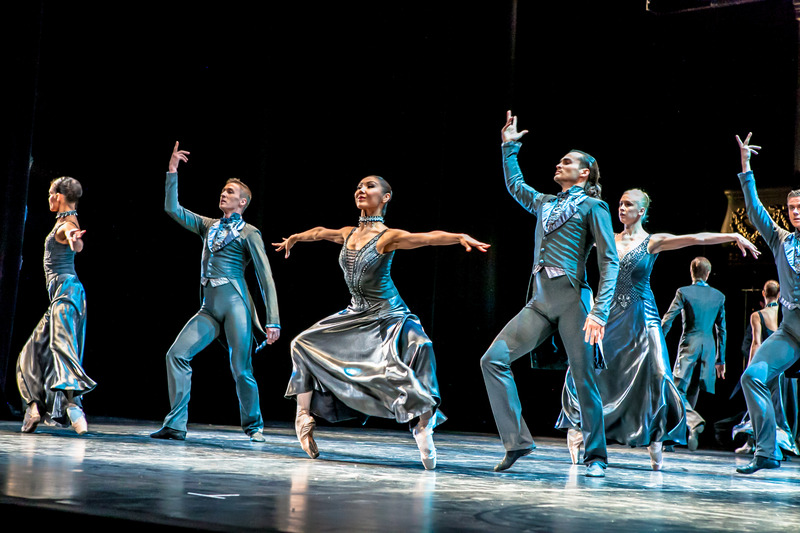 As well as being chosen for their potential likeness to the original characters, the seven principal cast members are clearly very talented, making easy work of the songs and of Kai Mann-Robertson’s deceptively slick choreography. Leading a five-piece band, musical director Xavier McGettigan brings an invaluable punch to the rather generic music. Adam (Gus) Powers has embraced the aesthetic of the original series, creating an array of props that are creatively crafted from bamboo. The set design itself is a very impressively constructed bamboo stage, which brings to mind the makeshift stage for the “Thanksgiving Follies” of South Pacific. Jodi Hope’s costumes are equally impressive, matching the original looks and also providing touches of humour, such as the impossibly vast scope of the Howell’s wardrobe. Riley Nottingham bumbles at full pelt as lovable, well-meaning first mate Gilligan. Sam Marzden blusters and bellows as the Skipper, recreating the original Skipper’s habit of eyeballing the audience to share his frustration. Joshua Monaghan delivers Thurston Howell III’s self-involved smugness with a well-judged straight edge. Lauren Jimmieson garners audience affection as dear Lovey Howell. Ginger has one of the best running gags, in that she frequently recites key speeches from her stage and screen career. Alexia Brinsley throws herself into this aspect, as well as deliciously capturing Ginger’s endless posturing, preening and posing. With a list of qualifications as numerous as Mrs Dolly Levi’s services, the Professor is also a bit hotter here, as played by Kaya Byrne. Byrne also has neatly understated delivery and a very fine singing voice. 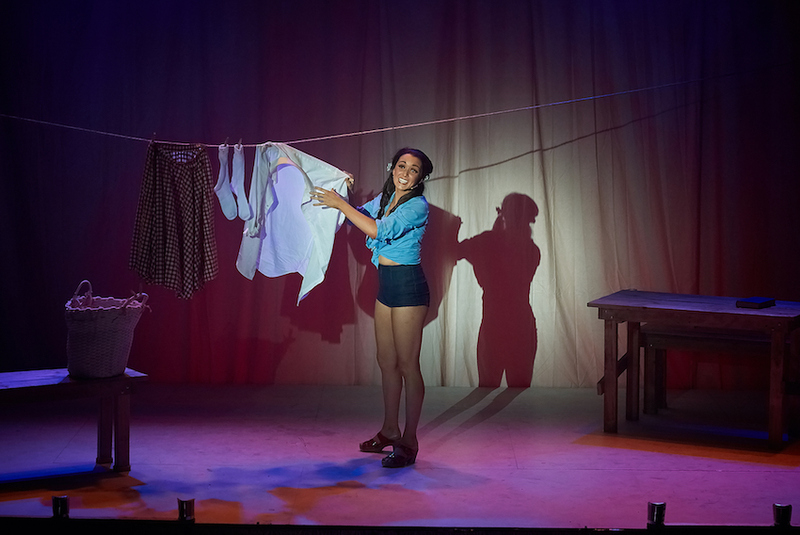 Molly Fisher captures the sweet, wide-eyed innocence of Mary Ann, whose romance with Gilligan progresses a little further in the musical than in the television series. Nostalgia aficionados may enjoy the trip down memory lane of Gilligan’s Island the Musical. The talented cast and crew deserve better material in future stage outings. 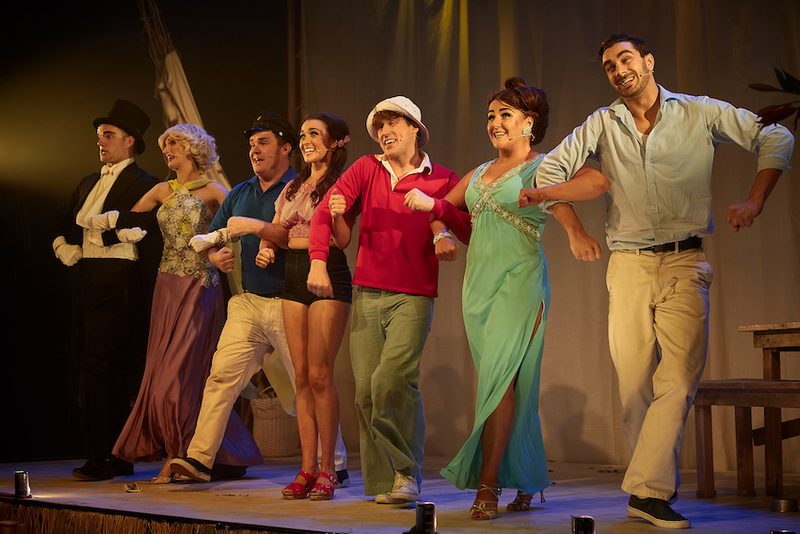 Gilligan’s Island the Musical plays at Chapel off Chapel, Melbourne until 4 March 2018. I thought the show was fantastic and am going back to enjoy it a second time! This review tells us more about the writer than the show. This is not mean to be anything but an homage to the TV series, and anyone who expects more than that – as the reviewer clearly did – is going to be disappointed. This is written as an ‘episode’ of the series and is designed to place the audience on the island with the characters. For people who grew up with Gilligan the nostalgia is palpable; for those who didn’t, it will appear to be a hammy attempt at old fashioned comedy. Which is what Gilligan’s Island was. There are a few rules when you write reviews: make sure you understand what you’re talking about, and never gice away the ending. This review fails on both counts.